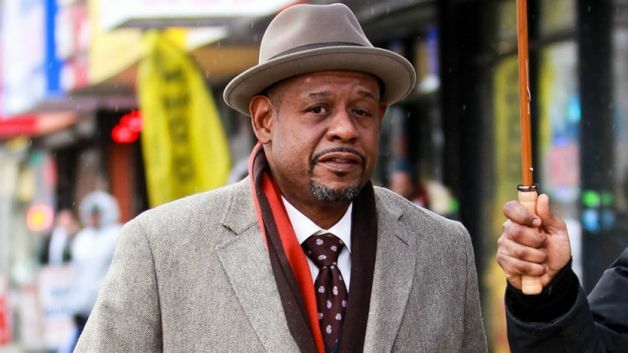 The on-again, off-again Martin Luther King film, Memphis appears to have found it’s lead, Oscar-winner Forest Whitaker is negotiating to play the civil rights icon in the new film that focuses on King’s final days. Director Paul Greengrass (Flight 93) is the latest filmmaker trying to get a King biopic to the big screen. He has been trying to make this film since 2011, primarily basing the story on his own research. Greengrass initially had a deal in place with Universal but due to pressure from the King estate, they decided to pass. Maybe the family’s resistance is that Greengrass’ script focuses on King in the spring of 1968, just before his murder, when he was “chain-smoking, boozing, and packing on the pounds.” His marriage was also going through a rough period. Whitaker, should he take the role, would have another high-profile historical figure on his resume. He won an Oscar for playing Idi Amin in The Last King of Scotland and next stars as Eugene Allen, a service worker who held a job in the White House for 34 years, in The Butler. That film is directed by Lee Daniels, who has tried to mount his own Martin Luther King film. Daniels wanted to make Selma, with David Oyelowo as King and Hugh Jackman in a supporting role, but the project never got off the ground. Daniels then announced that he would make another King project with Jackman, titled Orders to Kill, last summer. As yet, that film has not materialized. Several years ago, we suggested that another Oscar winner, Jamie Foxx, would have been our choice to play King. Time will tell not only when but if this project comes to pass.